I have been recycling some old wooden blocks again, things that I experiment with and don’t like or use as demos and then go into a box to die. But it’s time to recycle and give these pieces new life with some ink. 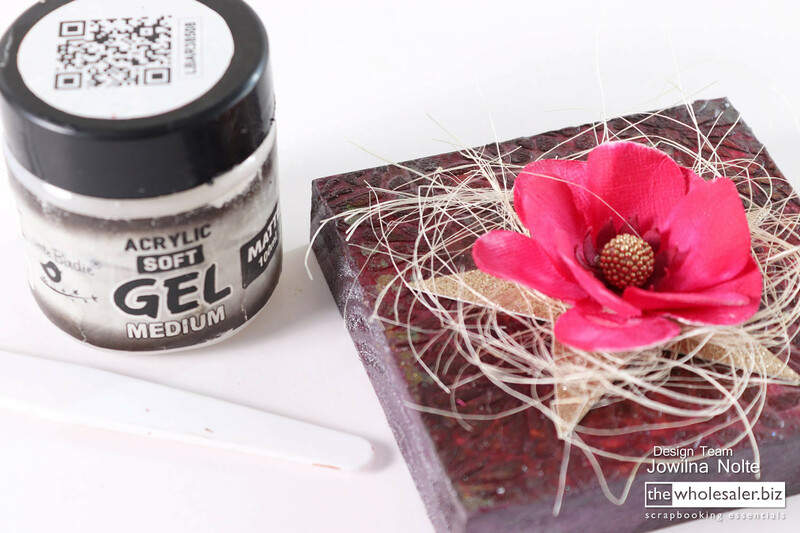 Over an old image on a wooden block, add some texture using a stencil and Sparkle Paste in gold. 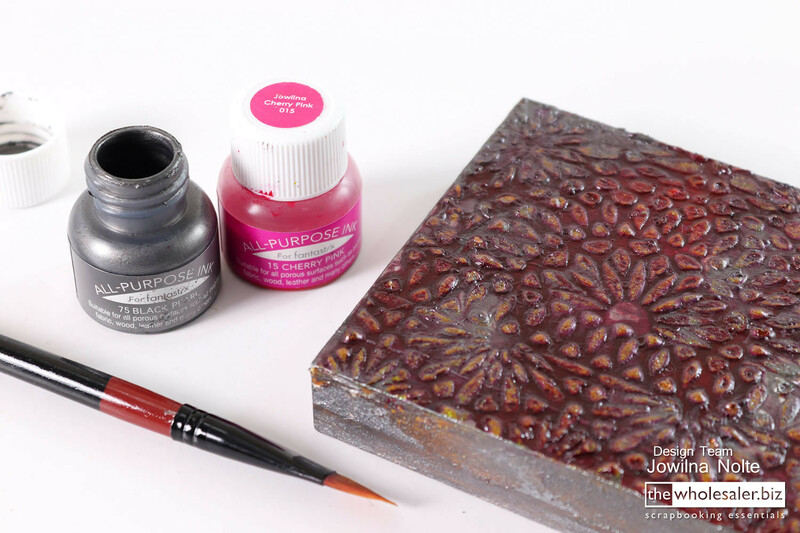 Once the paste is dry paint the surface with pink and black pearl All Purpose Inks. Mix the colours to create an interesting effect. Leave to dry. 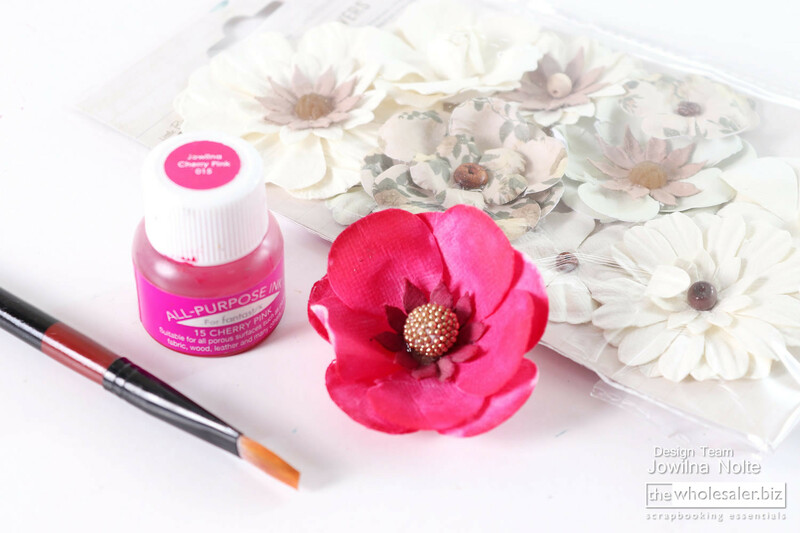 Paint white Little Birdie flowers using Pink All Purpose Ink and leave to dry. 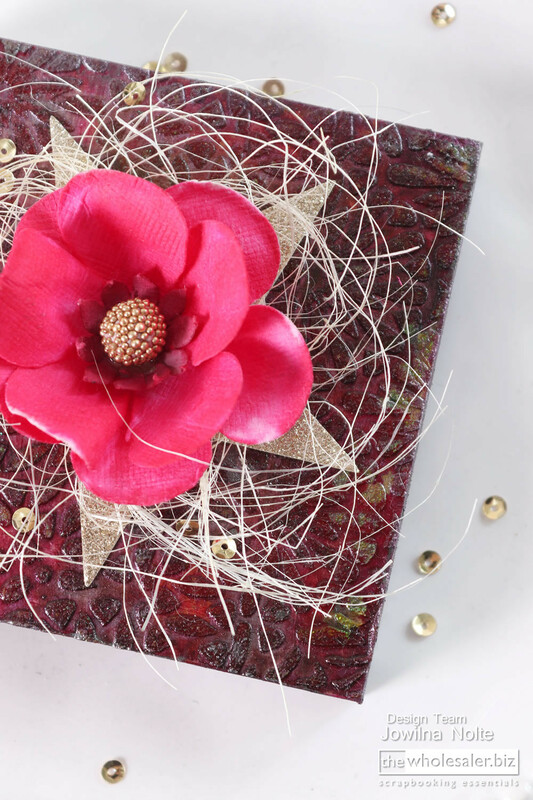 Adhere a gold glitter die-cut star, some fibres and the coloured flower to the wooden block using Gel Medium. 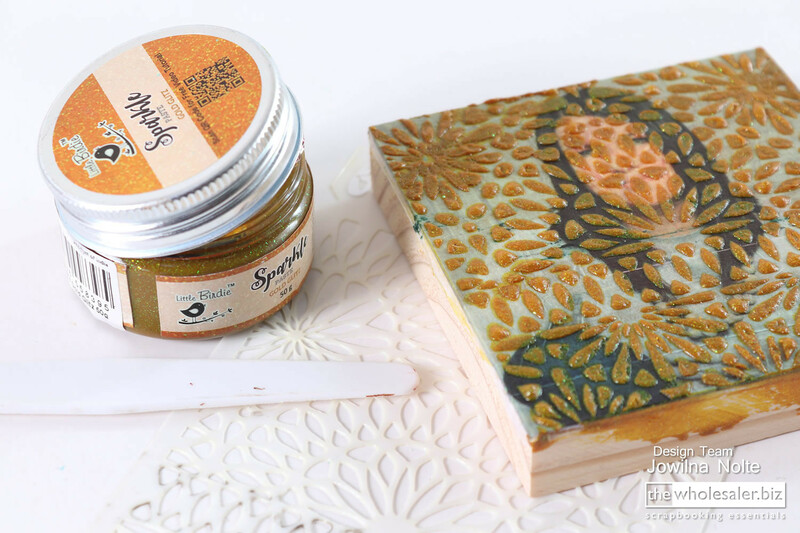 See how the glitter from the sparkle paste shines through the inked surface leaving a hint of shimmer perfect for a shining star. 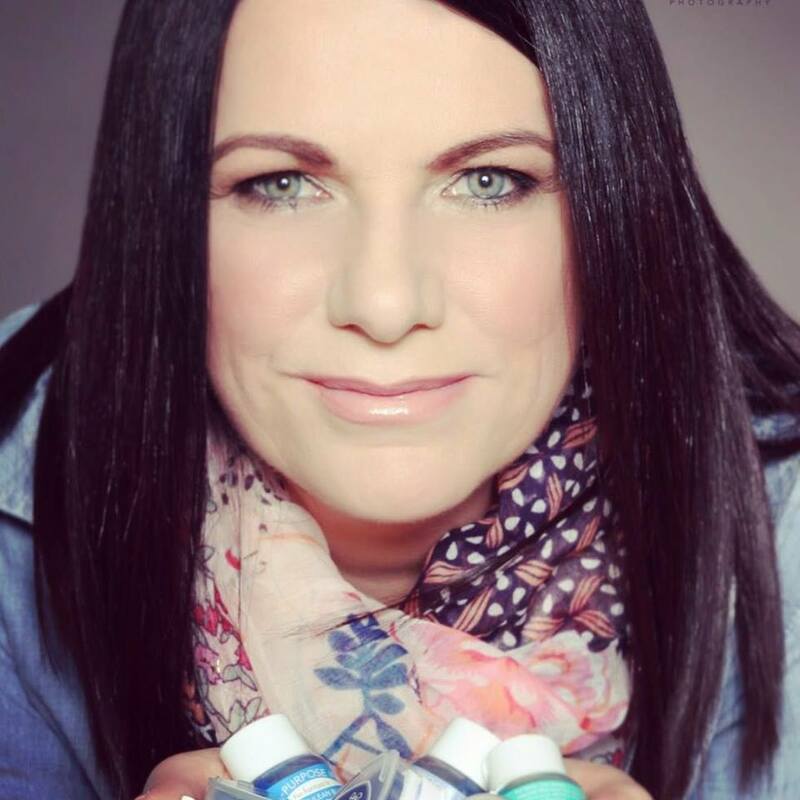 We are very proud to introduce you to our designer, Jowilna Nolte. 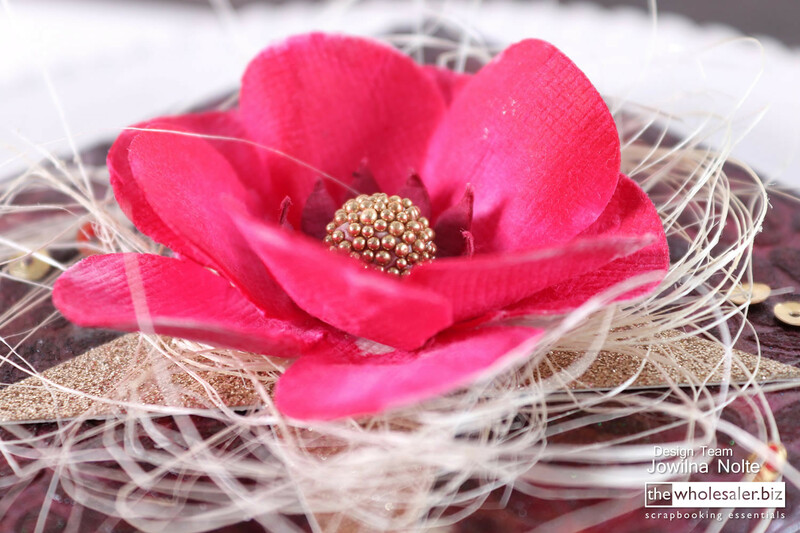 Jowilna is a true creative and she will be sharing some of her passion and creativity with you.